Is anyone else excited that it's Friday? Well here's another good reason to be excited, today we are starting a new challenge at Paperbabe Stamps and it's a favorite of mine "Anything Goes"
This means that you can create anything that takes your fancy, free reign to get crafty, how cool is that? For my Design Team Project I decided to create a mixed media canvas. 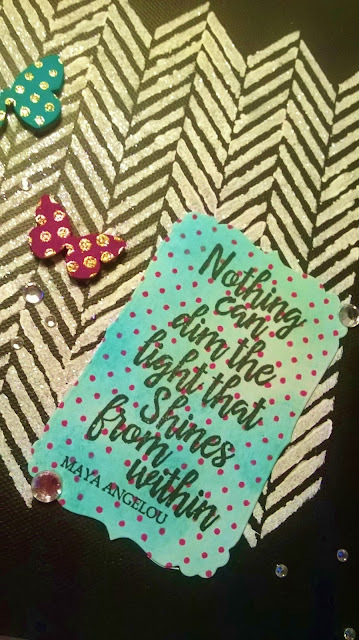 I took inspiration from the Maya Angelou quote and showed that no matter how dark things are you can always shine through just like the butterflies on my canvas, bright and beautiful. 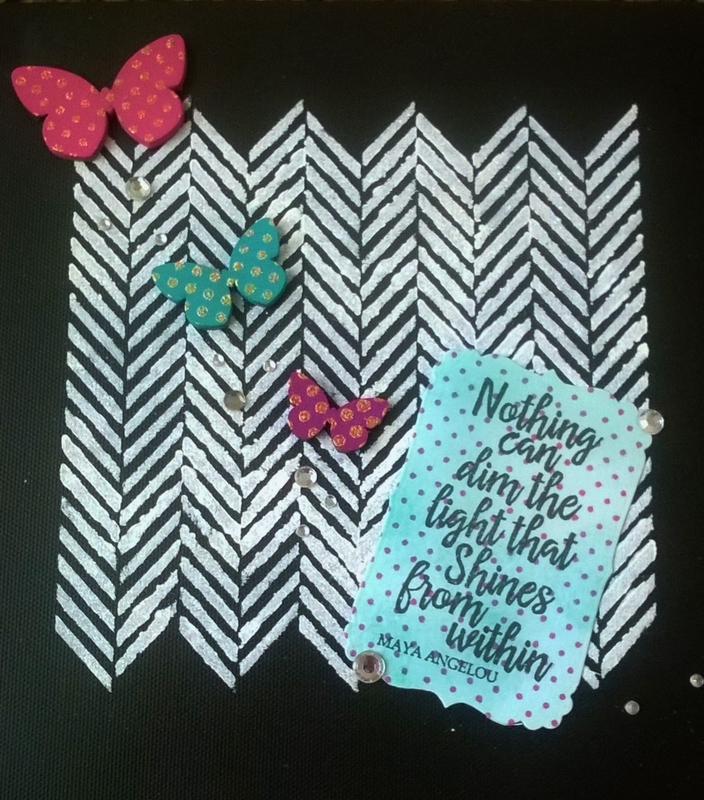 I used the Herringbone stencil to apply white acrylic paint which I then sprinkled with Glamour dust. I painted some butterflies from the Mixed media blanks accessories and then embossed them in gold using the Pop Dots stamps. I stamped the quote on to card which I inked and stamped. Once all glued on to the canvas I added a few gems. I hope you like it, i think it's going to make a great gift for my niece. You can join in with the challenge by stopping by the Paperbabe Stamps blog where you will find out all the details, you could be in with the chance of winning some crafty goods. I hope to see your creations, Good luck.